The Four Tunes with Sid Bass Orch. Ending their major label affiliation with RCA Victor rejuvenated The Four Tunes as hitmakers. Jerry Blaine's Jubilee Records was in the process of revitalizing the chart fortunes of their flagship group, The Orioles, with Crying In the Chapel (see Track Two), and Jubilee found the right formula to accomplish the same thing with their new acquisition. Little else had changed for the quartet, which had settled into a rewarding itinerary of bookings at top clubs up and down the Eastern seaboard as well as further afield. The group had moved over to RCA in 1949 after making their mark with Deek Watson as The Brown Dots, then on their own at Manor Records as The Sentimentalists and from 1947 as The Four Tunes. 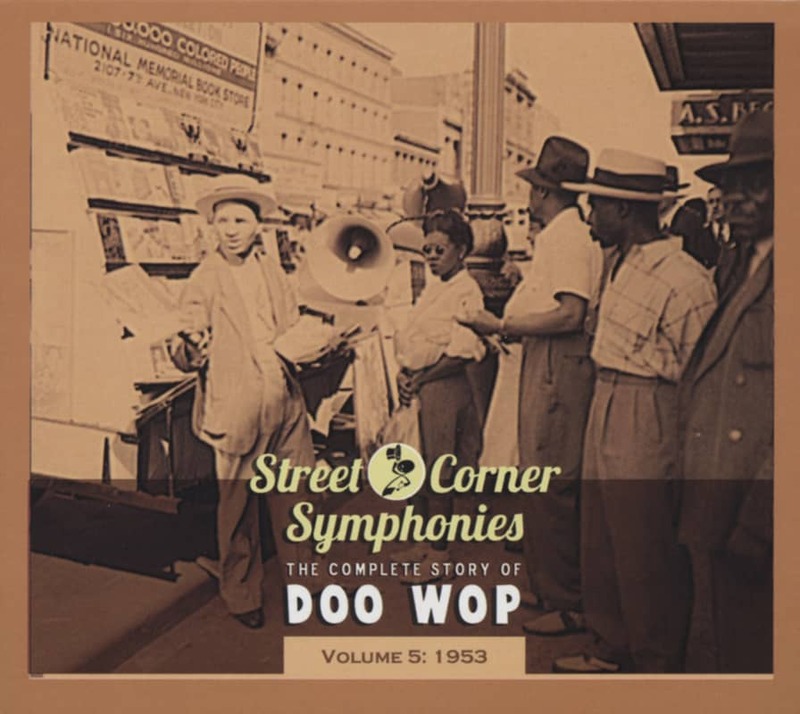 There hadn't been any personnel changes along the way; tenors Jimmie Nabbie and Danny Owens, baritone/guitarist Pat Best, and bass Jimmy Gordon had been together since the mid-'40s, their impeccably honed sound slowly fading from prominence. Jubilee found a way to make them relevant again. 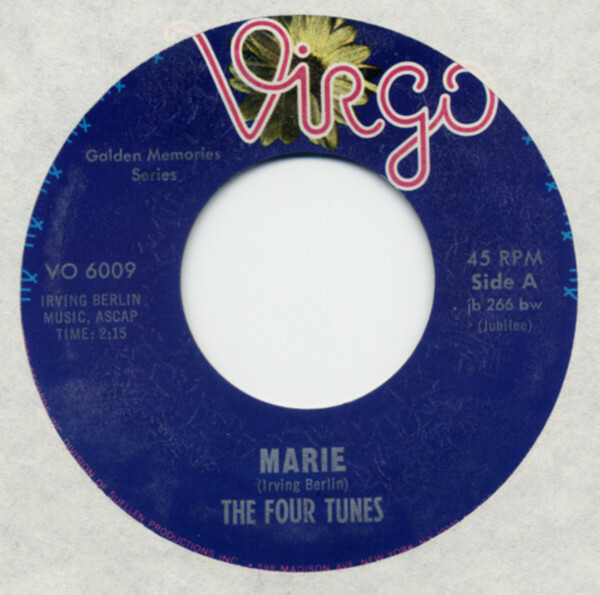 Marie, their first single for their new label (cut September 11, 1953), would seem an odd choice for a career resurgence. Written by Tin Pan Alley immortal Irving Berlin, it had been a 1929 hit for Rudy Vallee and crashed the pop charts again in '37 via Tommy Dorsey's revival. Arranger Sid Bass souped up the Tunes' rendition, taken at a breakneck pace with Nabbie leading his pals through some wild vocal gymnastics that grabbed enough R&B coin to earn a #2 showing on 'Billboard's 'Juke Box' listings late in the year and sent it to #13 pop as well (the flip I Gambled With Love was straight pop). Decca tried to counter by digging out vintage versions of Marie by The Mills Brothers and Louis Armstrong, but the gambit didn't slow the Tunes' singular treatment down. Its enduring appeal was illustrated when a similar rendition by an Irish group, The Bachelors, was a pop hit on both sides of the Atlantic in 1965. That comeback hit wasn't a fluke. The Tunes did even better the next year with the pure pop ballad I Understand Just How You Feel (written and fronted by Best), soaring to #6 pop and #7 R&B. They stuck around Jubilee into 1957, keeping their releases primarily pop-oriented, without scoring a third smash. By then, they were a Las Vegas institution (Best and Gordon kept the act going until the late '90s). Kundenbewertungen für "Marie b-w I Understand (Just How You Feel) 7inch, 45rpm"